An IAEA delegation has begun a two-day visit to Iran to discuss the country’s controversial nuclear program, which some Western nations suspect is aimed at making weapons. The question now is whether the team will visit nuclear facilities. 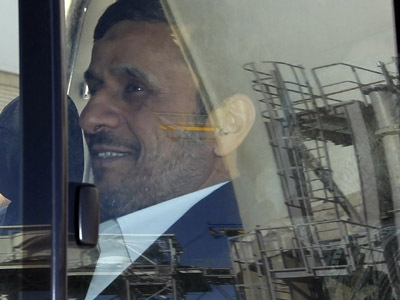 A five-member team from the International Atomic Energy Agency has arrived in Tehran to try and find proof that Iran’s nuclear intentions are not indeed peaceful. In November 2011, after a visit to Iran's nuclear facilities, the IAEA did not rule out that Iran has the potential to develop an atomic bomb in the future. “But we want to tackle all outstanding issues and this is, of course, a very complex issue that may take a while, but we hope it will be constructive,” he said. The IAEA team wants to talk to key Iranian scientists suspected of working on its alleged weapons program. Iranian state radio reports that IAEA inspectors have also requested to visit Parchin, a military base and weapons development facility about 30 kilometers outside Tehran. 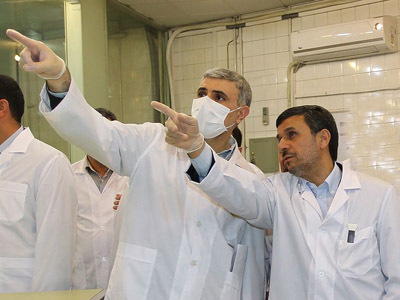 This is IAEA inspectors' second visit to Iran in less than a month. Their last visit, in January, was described as positive. It was said then that Iran was "committed" to "resolving all outstanding issues" and both sides agreed to continue the negotiations. That time, the IAEA inspectors tasked with verifying the peaceful nature of Iran’s atomic program did not visit any nuclear facilities. Although Iran has repeatedly emphasized that its nuclear research is for entirely civilian purposes, these assurances are not enough to convince Western powers. ­The next round of nuclear talks between Iran and the five permanent members of the United Nations Security Council plus Germany (G5+1) will be held in Istanbul, Iran's Foreign Minister Ali-Akbar Salehi said on Sunday. Last week, Iran’s chief nuclear negotiator Saeed Jalili sent EU foreign policy chief Catherine Ashton a letter announcing Iran's readiness for the resumption of talks "as soon as possible." There is no information on the timing of the meeting so far. “In the talks, we are seeking to find a way out of Iran’s nuclear issue in such a way that it would be a win-win,” Iranian Foreign Minister Ali Akbar Salehi said. “The point is that every now and then they say ‘we want to go there, we want to go here and we want to inspect this place and we want to inspect that place,’ but the point is that those places are not within the jurisdiction of IAEA – they are not parts of Iran’s nuclear sites,” he said. Iran’s refusal to halt uranium enrichment is the crux of the dispute, and as a result the US and EU have implemented economic sanctions. The US has not ruled out using military force, while regional adversary Israel is said to be considering an attack before the end of this summer. But despite that, Iran continues research, and has even ramped up its nuclear activities. Last week, Tehran said it had installed another 3,000 centrifuges to increase its uranium enrichment capabilities. Iran says it can now enrich uranium up to 20 per cent, whereas previously it was only capable of enriching to 3 per cent. Uranium isotopes of 3-4 per cent are used in nuclear reactors, while uranium enriched to more than 90 per cent is used for nuclear warheads. Iran maintains that it needs 20 per cent enriched uranium to produce nuclear fuel plates for the Tehran research reactor, which produces radioisotopes for cancer treatment. Tensions continue to grow between Tehran and the West, with the EU’s tightened sanctions due to begin on July 1. 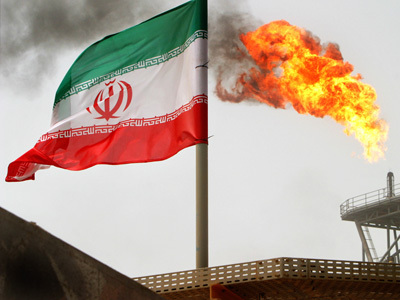 However, it was reported Monday that Belgium, the Czech Republic and the Netherlands have stopped buying Iranian oil. Greece, Spain and Italy are also cutting back on their purchases. 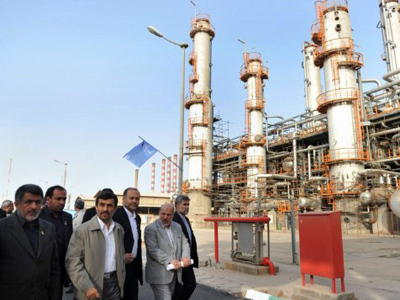 The economic sanctions against Iran target the country’s main exports, namely oil and gas. 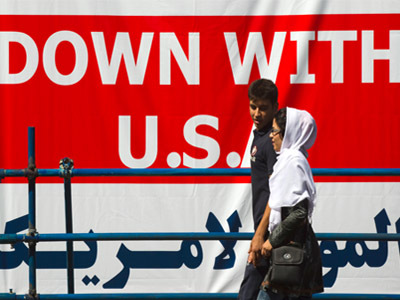 US President Barack Obama has signed an order to freeze all Iranian government assets held on American territory or within US jurisdiction – including foreign branches of American banks – from being transferred, paid, exported or withdrawn.